This summer give your garden the time and care it needs and create your very own suburban sanctuary. As the summer begins, the garden takes centre stage. We take ourselves away from the cover of our homes and step out into our backyards. But, just before the barbecues and sun loungers claim their place, the garden needs to be made ‘summer-ready’. A harsh winter can really take its toll on the garden and outbuildings. Sheds can rot, and grass can become patchy. Leading high street retailer Robert Dyas has all the essential equipment required to give your garden the tender loving care it needs. From garden building roof repair kits to nifty tools, Robert Dyas has the solution. Now is the time to make your neighbours green with envy. For some, the garden shed is their home away from home. It is a place of sanctuary and it gives those who need it, a bit of breathing space away from the family hustle and bustle. A garden shed should be maintained at least once a year to keep it in mint condition. Sheds should be checked for damp areas and leaks and if necessary repaired by removing rotten boards or replacing the roof. 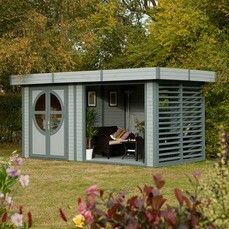 The Sky Guard Garden Building Roof Kit (£47.00-£324.99) (online only) will have your shed looking right as rain. This kit is ideal for both roofing new buildings or for replacing old and worn roofs. Due to its high-quality design and UV resistance it will resist cracking, blistering or peeling. Sky Guard comes in one easy to handle piece with a wide range of sizes available. Cuprinol Garden Furniture Restorer-1L (£7.29) will provide the finishing touch, giving garden furniture a new lease of life. However, if your shed is more shabby than chic and has taken a battering from the winter weather, there is no better time than the summer to purchase a new cabin. 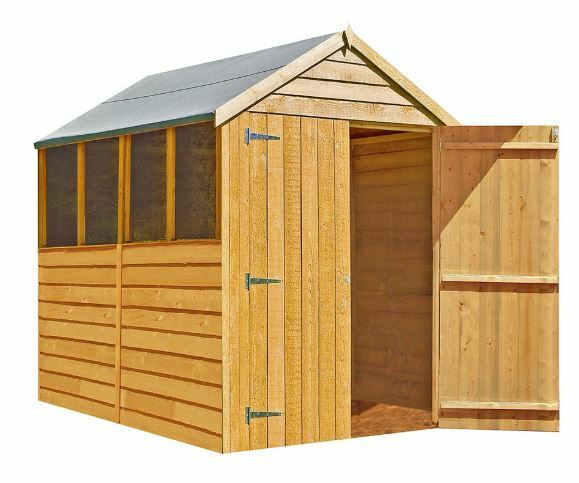 The Shire Overlap 5ft x 7ft Wooden Apex Garden Shed (£299.99) (online only) will offer the perfect space to hide away the garden goodies. 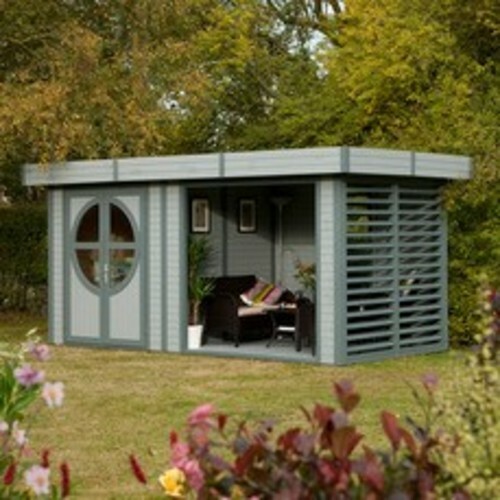 On the other hand, if your shed is more than just a space to hide your tools and creates a garden statement, The Rowlinson Connor Leisure Chalet (£2,299.99) (online only) offers the perfect combination of luxury and practicality. Another way to give your garden the proper makeover it needs, is through restoring and maintaining the grass. 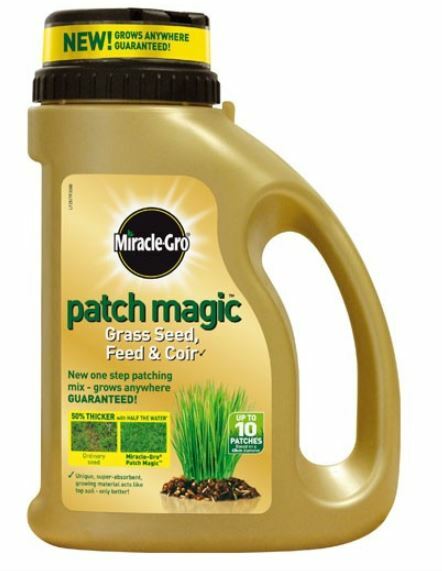 Products such as Miracle-Gro Patch Magic-750g (£7.99) can create that gorgeous carpet of green that signifies summer. Alternatively, artificial grass such as Woodberry Artificial Grass-4m width (£143.93-£1,199.39) (online only) will establish a hassle free garden with an impeccable lawn to relax on. To create the picture-perfect summer space, the right tools are needed. 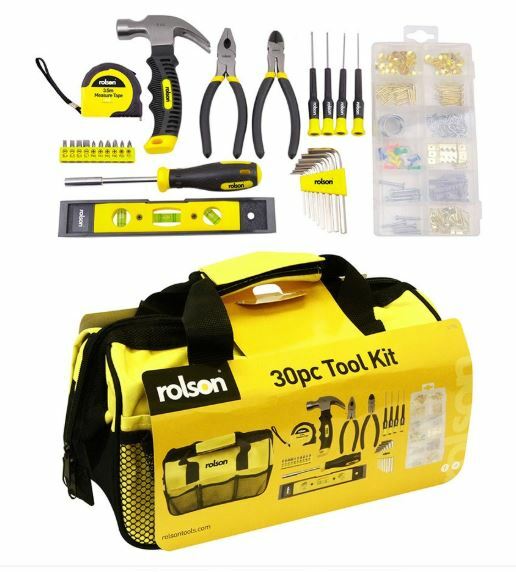 The Rolson 30-piece Home Tool Kit (£17.99) will provide all the necessities to fix those niggling problems. Additionally, The Abru 2.8. DIY Double Extension Ladder (£79.99) (Online only) will scale new heights to keep you on top of all garden maintenance. Also, with the Draper DIY series tool pouch (£8.99), tools will always be on hand to help craft the dream design. This press release was distributed by ResponseSource Press Release Wire on behalf of Robert Dyas in the following categories: Men's Interest, Leisure & Hobbies, Home & Garden, Women's Interest & Beauty, Environment & Nature, Construction & Property, for more information visit https://pressreleasewire.responsesource.com/about.